Editor's note: This story was updated April 20 to note that the Texas House gave final approval to House Bill 21. The Texas Supreme Court ruled last year that the school finance system was in need of serious reform, but ultimately constitutional. The lower chamber's decision to give preliminary approval to House Bill 21 is a reversal from the 2015 session, when outgoing House education leader Jimmie Don Aycock withdrew a major bill overhauling the school finance system from the House floor less than an hour into the debate. The tentative victory comes after senators approved a budget that cuts state funding for public schools by $1.8 billion in general revenue and uses local property tax revenue to make up the difference. Huberty's bill would increase the base per-student funding the state gives to school districts, in part by increasing funding for students who are bilingual and dyslexic. The Legislative Budget Board estimates about 96 percent of districts and 98 percent of students would see more money under the bill. "Almost half the school districts in Texas will benefit from these amendments," he said. Legislators voted 86-59 to approve Darby's amendment, despite Huberty's opposition. Many of those districts rely on a state aid program designed to offset a decade-old tax cut. Additional State Aid for Tax Reduction, or ASATR, is set to expire in September, with about 250 or so small, rural school districts depending on it to keep their doors open. 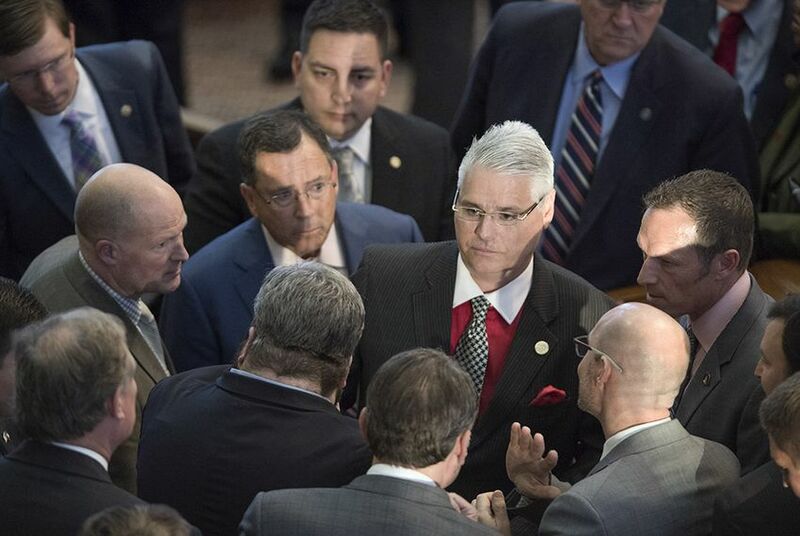 Huberty’s bill would let the program expire and create a transitional $200 million grant program over the next two years to help school districts that lose money under his bill. That’s half of the more than $400 million that districts currently receive through the expiring program. Darby successfully proposed taking about $40 million from the grant program and directing it toward small districts in 2019. Rep. Harold Dutton, D-Houston, who has been in the Legislature for more than three decades, said he felt confident the bill would pass. "You've got a different ... climate here now in the House. Aycock really set the thing in motion last session. I think the fact that he did pull the bill sent a huge message to all of us that we needed to do something different this time," he said. The House Public Education Committee voted 10-1 to approve Chairman Dan Huberty's school finance bill, which would mean gains for most, but major losses for some.